Some of us fancy a gentle distraction from everyday life -- an unchallenging game that will waste away a dull train journey without requiring any further commitment. If that sounds like you, then an idle game could be your savior. Often called incremental games, idle games require players to perform simple actions, such as clicking on the screen to gain in-game currency or XP for the purpose of obtaining items or abilities, which can then be used to boost the game itself as it does its own thing. These games are idle because they can progress even while a player is absent. Of course, whether or not you consider them "games" is another matter entirely. There are a ton of them out there, but here are 10 that have done a great job of disguising their time-wasting experiences as games. If there was ever a game about doing virtually nothing, just tapping stuff and waiting, then Tuber Simulator is an excellent example. This is a game about developing a YouTube business, where players begin with a bare room and access to limited, basic resources to begin with. 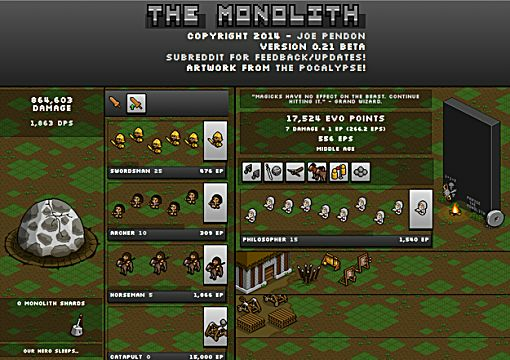 But providing you wait, the game will eventually generate better items, plus more viewers and subscribers. 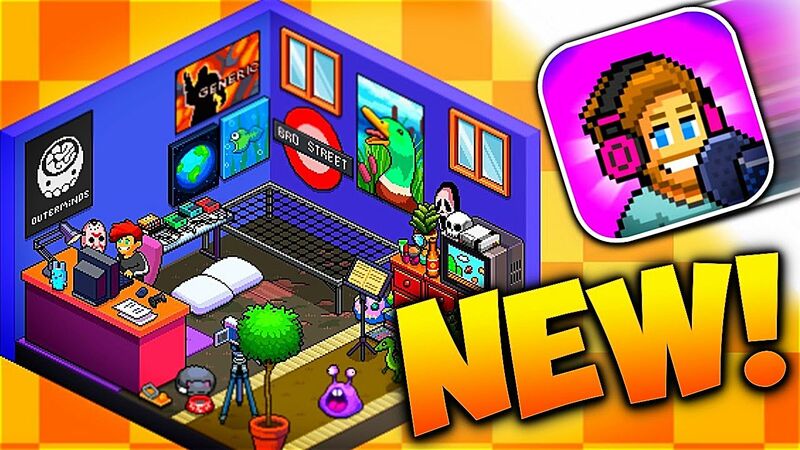 But as mentioned in our article reviewing the Tuber Simulator, it is most definitely a game to play between naps. Tuber Simulator is available on Google Play and iOS. This is a convention management game based in the Con-Man TV show universe. 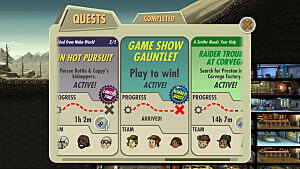 Players generate in-game currency, XP, and premium currency Comix to level up, enabling them to unlock larger exhibits. For larger exhibits, it can take several days to build without spending the premium currency -- so players must be patient so that superior exhibits can be built for free. The game is designed for short term play, as the likelihood for negative effects are increased the longer the game is played. It's best to put security to work and then close down the app. Con-Man: The Game is available for iOS and Android. You can read our review of Con-Man for more info. In this idle game, you try to build and develop the Death Star by luring virtual people, known as bitizens, to create and develop 6 distinct areas -- food, service, recreation, retail, residential and imperial. Residential levels house bitzens where a maximum of 3 bitizens work in the food, service and recreation businesses to generate in-game currency, known as credits. Credits are used to build new levels and order products. How long products take to arrive depends on the bitizen's skill level at the given job. Imperial levels are used to produce Imperial items for missions. Players can use in-game bux to speed up builds. However, if players are patient, buildings continue to be built, products are ordered, and bitizens spend money while the game is inactive. 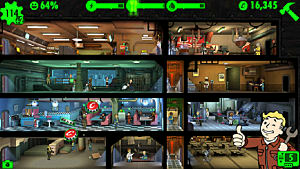 This game has pretty much been pulled, but can be downloaded here for Android. If you want the same experience without the Star Wars re-skin then consider…. 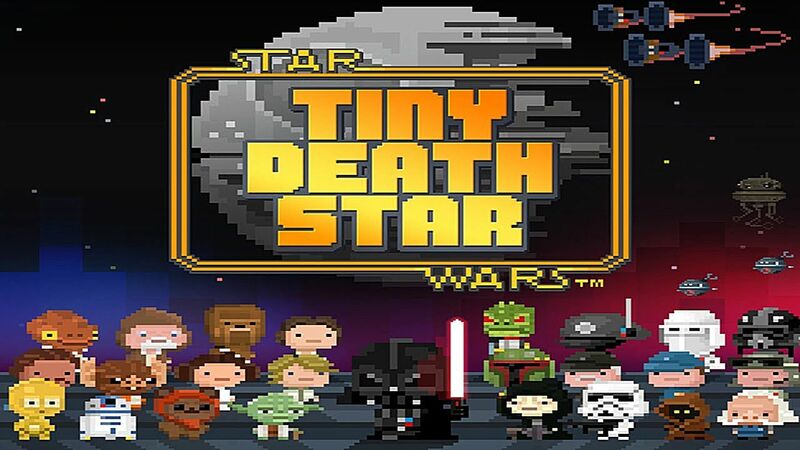 An award-winning idle game developed by NimbleBit, this title has the same game mechanics as Tiny Death Star, but instead players build a skyscraper. It is a more generic, general tower builder but is fun to play and pleasing to complete your missions, then build things like the coffee house or fortune teller. Tiny Tower is available to download for iOS and Android. The Simpsons Tapped Out is a rebuilding civilization game, set in The Simpsons universe. It involves users recreating the infamous town of Springfield after a neglectful Homer causes a nuclear meltdown. Items can be bought using the in-game currency and premium items can be bought using donuts. Idly completing tasks and leveling up unlocks new areas and characters. Read our review of The Simpsons Tapped Out for more information. The game is available for Android and iOS. 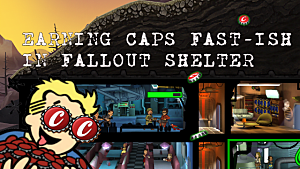 So, there is an idle game from Bethesda -- an award winning game too! 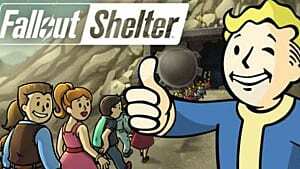 This game is an extension of the Fallout universe and tasks players to build and develop their own fallout shelter. Players direct and guide the in-game citizens and meet their daily needs, e.g. 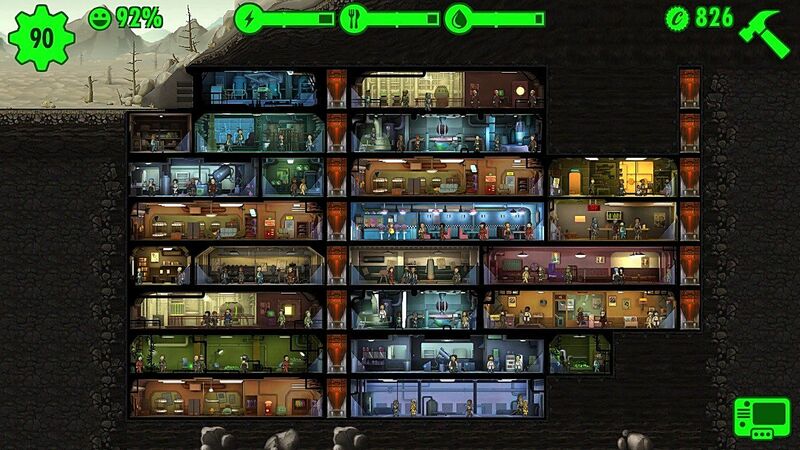 food and water and assign them to resource generating buildings in the vault. 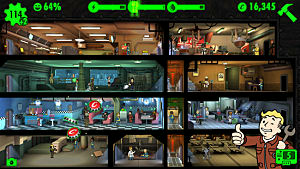 Dwellers level up over time, leading to further availability of in-game items. 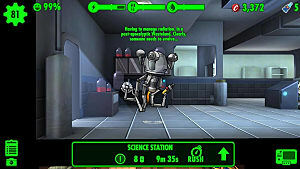 Players must wait for weapons to be crafted, resources to be developed, and characters to return from completing quests. It's a bit more involved than other clicker games, so check out our vault management tips to get started. The game is available for iOS and Android. This is the app tie-in game for the popular Walking Dead TV show. Join Rick, Daryl, and other infamous characters in the hope of surviving the zombie apocalypse. Each character has their own abilities, and the player has to make tough decisions about food, water, and shelter. There are weekly challenges and puzzles to solve, plus a number of stories to complete in order of their difficulty. You must click around to locate resources, gain XP, and get supplies. The premium currency of gold allows instant completion of buildings and and speeds up timers. No Man's Land might be slightly more sophisticated in style, but it's an idle game nontheless. The game is available for iOS and Android. Play as a good or evil monarch in order to create and develop the most important and richest realm. Players are required to click to purchase buildings, upgrade items, cast spells, and make other strategic choices for the objective of leveling up. This is another game which is more advanced. It offers some choice that will lead to different outcomes, so there is a little bit of replayability here. To complete the goals, players need to join factions of mythical creatures which each have a unique ability, such as hiring staff or magic. This is a tap to manage resource game where the main object is to defeat The Egg and praise the Monolith. Destroying the Monolith or killing the beast leads to monolith shards and beast fragments. The purpose of these is to utilize the fragments to hire heroes for bonuses and abilities. Civilizations can be built and upgraded with things like new technologies and troops. Players can also unlock abilities through performing other actions. The game is available for Android and iOS. 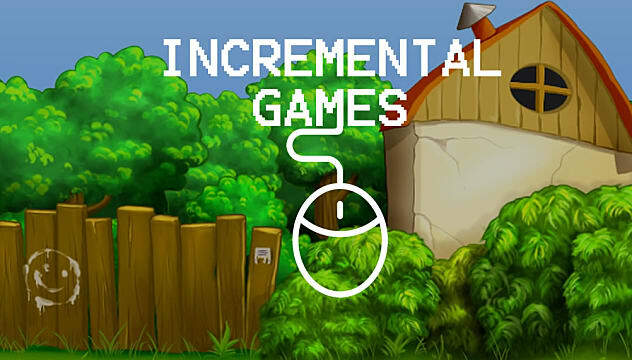 No list of incremental games could be complete without a Farmville game! Pretty much, this game is all about farm management, and players are required to earn coins and XP through farming and crafting goods in order to proceed through the game. You spend coins to purchase new buildings, lands and animals -- and the more items you have, the more cash the game generates. It's the same with XP -- the higher a player's level, the more items can be unlocked. Use farm orders to sell items and complete quests to earn XP. Tap the well to generate water and wait whilst new buildings are prepared. The game is available to download for Android and iOS. All in all, these idle clickers do seem to involve an endless circle of clicking, upgrading, waiting ad infinitum. However, this does not mean they are dull, they are designed to hold people's interest for a short time. Some of these are more sophisticated than others and do require a bit of skill or planning. But if these don't seem like enough of a challenge for you, don't worry! It's a vast world out there, and somewhere out there is a mobile game for every type of gamer. So it's just a matter of finding out what that is.